I’m still waiting for the bulk of the buttons, but in the meantime most of the body has been put together and I’m pretty pleased with the results so far. The side seams, collar and sleeves have all been inserted, the sleeve cuffs faced and it’s looking more like a coat now. The broadcloth has given it a lovely drape and it swishes with any movement, especially with the side seams being sewn all the way to the bottom, rather than leaving an opening. It’s probably my favourite thing that I’ve made in a long time. It has a 1640s feel, but also a bit of the swashbuckling Stewart Graingers to it. Here are a couple of close-ups. 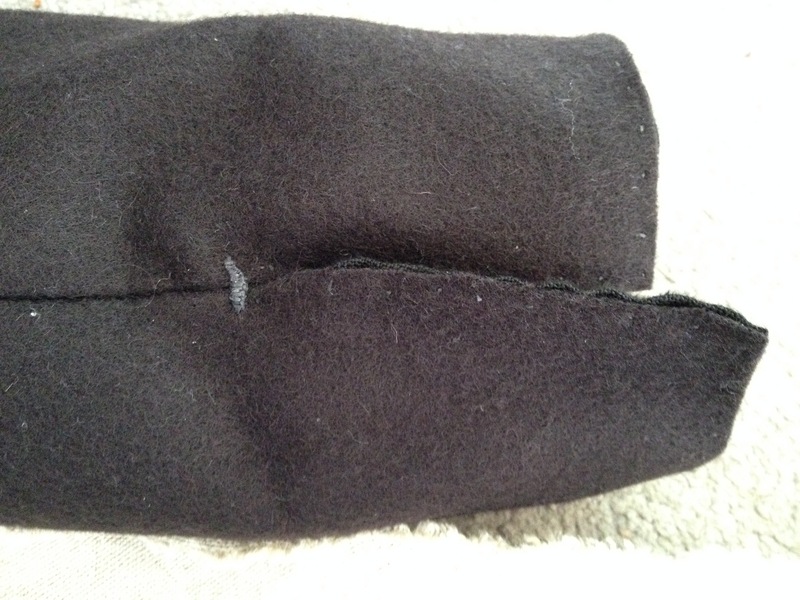 The one on the left shows the worked bar at the end of the sleeve seam. The V&A coat has these on both sleeves, so I thought I’d add them. The second photo is the inside view. 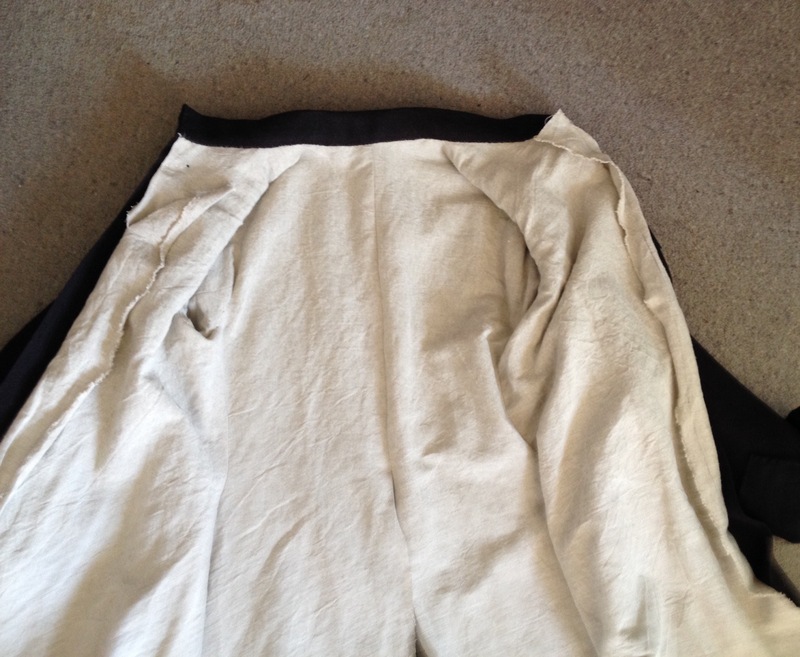 The sleeve lining was whipped in after the body lining was attached and sewn to the armhole. It gives the coat more stability and I’ve found makes it easier to get the lining to lie nicely at the bottom hem. 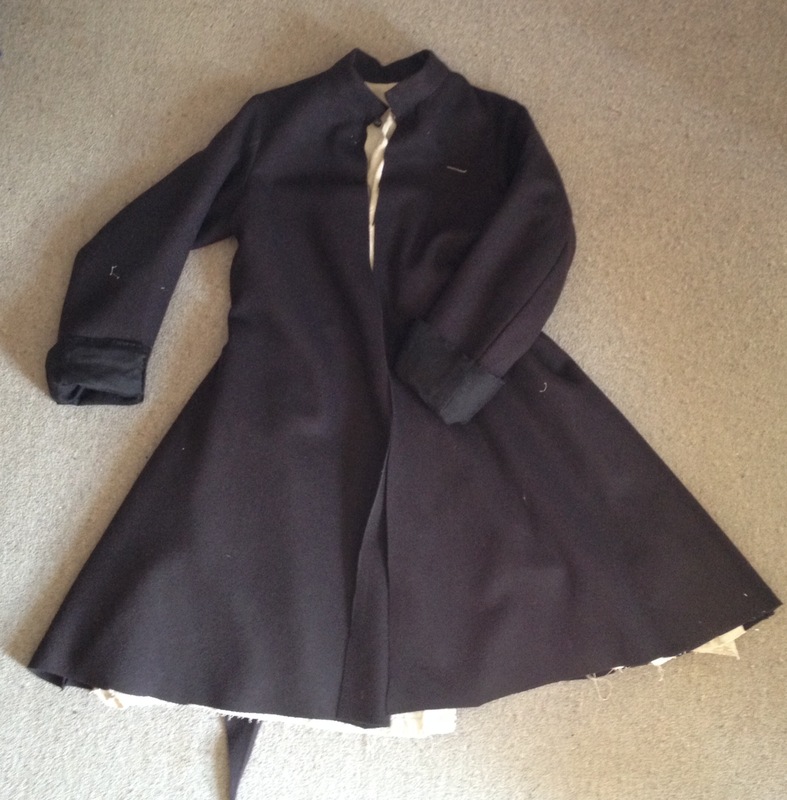 There is no interlining or stiffening in the collar to match the construction of the museum coat.